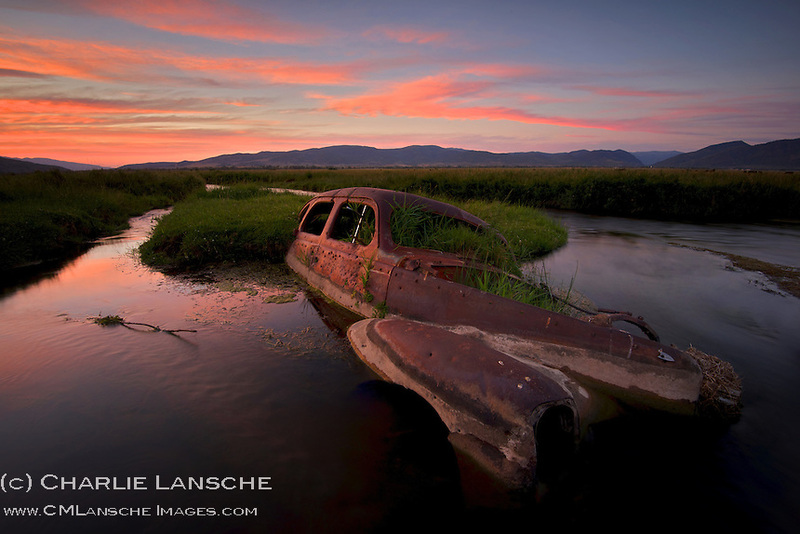 Back in the day, farmers and ranchers would sometimes use whatever they could to slow water flow and divert streams for irrigation, including old cars pocked by bullets. As I was packing up my camera equipment tonight, a large trout exploded from the water to the left of this car. Think I'll trade the tripod for the fly rod next time. Summit County, Utah. July 26, 2013.